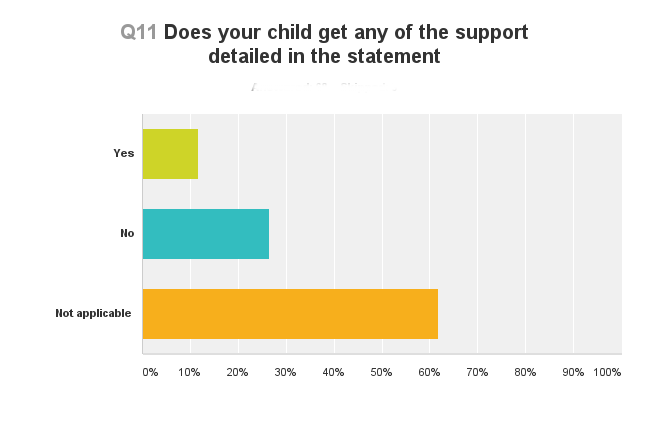 On October 5th I opened a survey asking parents in England about their experience with local authorities when their home educated child has special needs. It only takes 10 minutes to fill in, and there’s lots of space for comments as well. Here are some interim findings. Three quarters of respondents said their child had been unhappy at school. Half said their child was too anxious to go to school and nearly half mentioned bullying as a factor. Half also said their child wasn’t making any progress at school. Of those who have completed the survey so far, 40% have been home educating for more than 2 years. 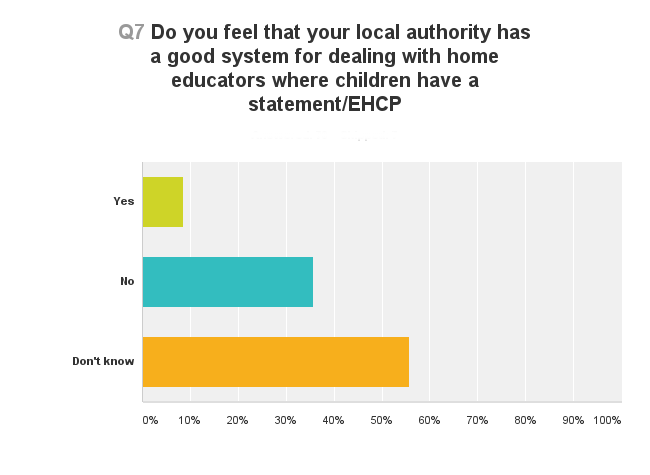 Just over a quarter have a statement of SEN. 4 out of 10 said they didn’t really know what to expect for the transfer from a statement to an EHCP and over half didn’t know when the statement would be transferred. 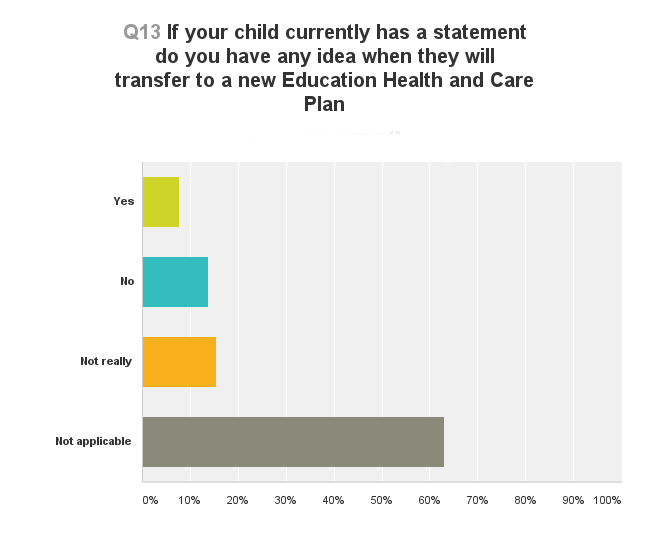 Only 5% are currently going through an assessment for a new Education Health and Care Plan, while just 4% are in the middle of a transfer from a statement to an EHCP. Most children didn’t get any of the support in the statement once they were home educated. 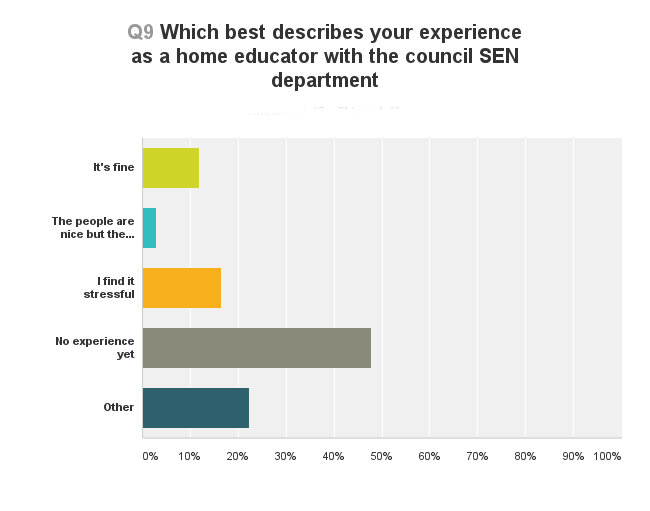 Sadly, relatively few parents who feel their council has a good system for dealing with home educated children with special needs, and many parents said they found it stressful.